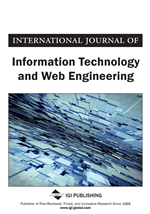 The growing number of the Web Services available on the Web without explicit associated semantic descriptions raises a new and challenging research problem: How to discover efficiently the relevant Web Services that fulfill the user expectations. However, many services that are relevant to a specific user service request may not be considered during the service discovery process. In this paper, the authors address the issue of the Web Service discovery given nonexplicit service description semantics that match a specific service request. Their approach is based on a captured user goal from an HTML form and the traceability and involves semantic-based service categorization, semantic discovery and selection of the best Web Service. Furthermore, the authors' proposal employs ontology matching algorithms to match a specific goal to an existing Web Service. An experimental test of the proposed framework related to the Medical Analysis domain is reported, showing the impact of the proposal in decreasing the time and the effort of the discovery process as a whole. The Web Service technologies bring a dynamic aspect to overall Web usage. However, the current understanding of the Web Services fails to capture enough semantic data. Therefore, Semantic Services deal with such limitation by augmenting the service description with a semantic layer in order to achieve an automated discovery, composition, monitoring, and execution, which are all highly desirable processes (Suganthy et al., 2010). There are multiple frameworks placed to enable the technologies of Semantic Web Services. Some tools allow the annotation of semantics to Web Services; others describe services using ontology based description languages. The power of the semantic description of the SWS depends on the strength and power of the language used to define this semantic. Next, we present shortly several SWS frameworks which are recommended by the W3C.